← So, are supercars dead? I have been very busy lately, mostly working on my university dissertation. As a car fan, I chose to do it on how Green Consumerism can affect our automotive choices. I will not bore you with the details of this 10,000 word project, but at the end of the day, I found something interesting. People are interested in the environment, and do take it into account when buying a car. However, they are not prepared to pay a massive premium for an electric car, and electric cars are still not viewed in a favourable light. That is why, of the electric car dealers I spoke with, all their vehicles were sold to companies or city councils, looking for tax-breaks or to meet with emission targets. The car as we know it will be here to stay for quite some time. The fact is this: When choosing a new car, people will look at emissions and fuel consumption, and will take these characteristics into account when choosing their car. However, they will not sacrifice their mobility and freedom for the environment. That is the problem with the battery-electric car, while it is a good concept, it is still as useful as a tin of beans – good, but limited-. I still believe they are not the answer, more of an intermediate step. In town, they make perfect sense (providing you have a charging station available). But to those who live out of the town, they are useless. Think about what the car gave us: Freedom and mobility. If I wanted to, just this minute I could drive down to Turkey, in three days. That is because fuel is available everywhere, and it only takes a few minutes to fill up. In an electric car, the journey would be more of a headache, as I would have to plan overnight stops every 80 miles and make sure there was a good place to charge, and take about a month to complete. Don’t get me wrong, I like electric cars; they are fun to drive, in the same way a golf cart is fun to drive. However they belong in cities. This does cause another problem, as the main problem in cities is congestion. If everyone gets an electric car, and has to park it overnight to charge, what good will that do to the infrastructure. Sure, the air quality might improve, but it would take 5 hours to do 5 miles. So in the end, no real solution there. This leads me on to the Mercedes-Benz F-cell. They just proved how reliable the technology is, by taking a fleet of cars around the world. People liked to think they would cause another big hole in Ukraine, but bar one small collision, everything worked fine. This means the technology is ready, and safe. After all, hydrogen has come a long way, 15 years ago, the technology had to fit in a big van, now it fits in a B-Class. The only issue is getting the infrastructure in place. Shell is working on that, and I have no doubt that within 10 years we may see a viable one in place. The last issue will be cost. That is the same problem faced by battery-electric cars. At the moment, a very small electric car costs the same as a medium sized saloon. A similar sized hydrogen car costs the same as a Ferrari F12. However, this is the same with any new technology, as any university scholar will know, thanks to Moore’s Innovation Adoption Lifecycle. The early technology adopters will have to pay the premium, so sales can begin, and then thanks to economy of scale, prices will go down. If I had the money, I would get a hydrogen car. Battery-power has existed for over a century, and has never really improved. A Nissan Leaf is just an incremental innovation, a Mercedes-Benz F-Cell is a radical one. In the long run, the radical innovation will be more utilised. This is where marketing comes in. We love to lament about their rubbish choices, such as the diesel Renault Twingo Gordini. However, at the end of the day, they are the ones we trust with communicating a new idea to us. This has emerged in my dissertation research, as at the moment people do not know much about future technology. Hybrid has been done and understood. Battery-power is beginning to be understood, and creeps in to reviews around the globe. The next step should be Hydrogen. Once people understand it, they may embrace it. I mean, a hydrogen car is just as dangerous as a petrol car (to a certain extent), is used in exactly in the same way, and is much less polluting. Green is the new black, so if you have the money, do not buy a Lamborghini Urus or a Tesla Roadster. 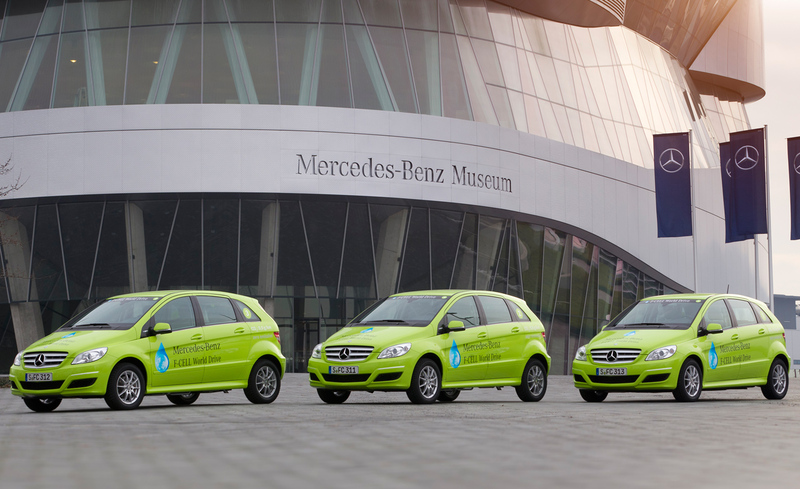 Think of the future, do a choice that can make a change, get a Mercedes-Benz F-Cell when it come out. Or a Honda FCX Clarity. Or any hydrogen car. Think about it: Walk – Horse – Petrol Car – Hydrogen Car – Teleportation. This entry was posted in News and tagged battery, electric, future, hybrid, hydrogen, mercedes. Bookmark the permalink.